Notice: To ensure peak performance, when using the Greedy with compatible chambers and a variable wattage battery, we recommend using a range between 5-15 Watts. If you are using a temperature control battery with the Greedy, we recommend a temperature between 300 and 400 degrees. When using the Greedy, fire in intervals of about 3-4 seconds to avoid over working any of the Greedy atomizers. Using settings higher than those outlined here may cause damage to the heating element. The Greedy will only work with batteries capable of handling 0.25ohm attachments. The Atmos Greedy M2 is the one of the most versatile heating attachments available. Compatible with the Studio Rig, the original Greedy heating chambers, and numerous other chamber options thanks to the Atmos Female to 510 Male Adapter, the Greedy M2 brings all of these amazing innovations together to give users an almost infinite number of potential options for wax consistency and dry herb vaping. Similar to the original version of the Greedy heating attachment, the M2 is protected by a durable stainless steel housing, and is equipped with dual adjustable airflow, a splash prevention waxy filter, a dry herb filter that can be swapped out as needed, and an easy access mouthpiece for quick refills. The Greedy M2 comes with the Dual Titanium/Quartz Rod Atomizer, making it the perfect heating chamber for anyone interested in the powerful performance of Atmos' heating chambers. Iconic Heating Coils The Greedy and Greedy M2 are both compatible with four unique heating coils designed for different styles of wax consistency vaping. 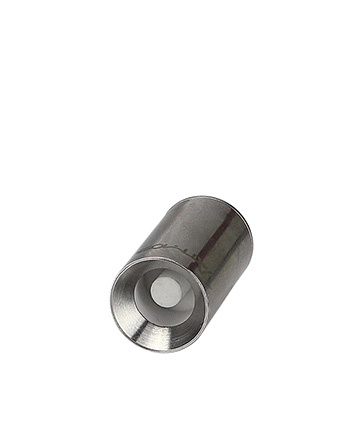 The Kanthal Twisted Coil/Quartz Rod Chamber, the Kanthal Clapton coil/Quartz Rod Chamber, the Dual Titanium Coil/Quartz Rod chamber and the Stainless Steel/Quartz Rod Chamber each present their own unique benefits when used with the M2 chamber. In addition, most of the AtmosRx heating chambers can be used with the M2 thanks to the Atmos Female to 510 Male Adapter, making the possibilities nearly endless. A Chamber for Every Situation The Greedy M2 can be used with the three unique and interchangeable Studio Rig heating chambers to vaporize dry herbs and wax consistency products with the greatest of ease. For dry herbs, the Greedy M2 can be used with the Embedded Ceramic Heating Chamber. When used in combination with the Atmos 100W battery and its automatic function, users can create a vaping experience that rivals any portable dry herb vaporizer on the market. 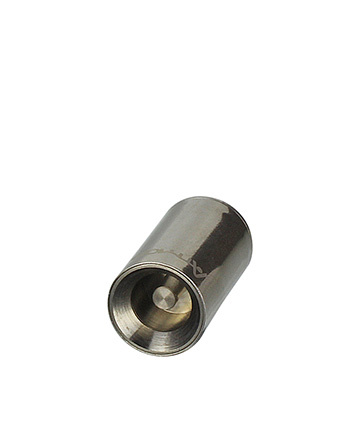 For wax consistency products, the M2 can be used with the Ceramic Nail Chamber and the Titanium Nail Chamber. These chambers are made with a completely solder free composition to ensure the purest, most flavorful vapor possible. Versatility in its Most Durable Form. I used many heating attachments and none of them compare to Atmos's. They are the best. Very well put together. I absolutely love my Greedy M2 chamber. I have a lot of atomizers that don’t allow airflow through the base of the cartridge, but the M2 allows airflow through both the bottom and the top of the cartridge, which means I can use a lot of the atomizers that normally aren’t compatible with these types of units. Absolutely love it. A+ for Atmos! I bought this thing on a whim, and I got the Atmos 100W Battery and Studio Rig Embedded Ceramic Chamber to go along with it. This thing hits like a TRUCK without burning my herbs. It’s the best performance I’ve ever gotten from a cartridge designed for dry. I cannot recommend it more.